This is extraordinarily strange news, given that the world is racing in the other direction, to accommodate and appease Islam. It will be interesting to see, if these reports turn out to be accurate, how the mainstream media and Islamic supremacist groups will find a way to accuse the Angolans of "racism." In any case, clearly this is a national security issue, with Islamic supremacists and jihadists wreaking havoc in Nigeria and spreading elsewhere in Sub-Saharan Africa. There is no way in Angola any more than there is anywhere else to distinguish jihadis in Angola from the peaceful Muslims among whom they move, organize and recruit, and clearly this measure is designed to stop that activity. However, censure from the UN and the world "human rights" community will probably soon compel Angola to change its stance, and allow the jihadis free rein. 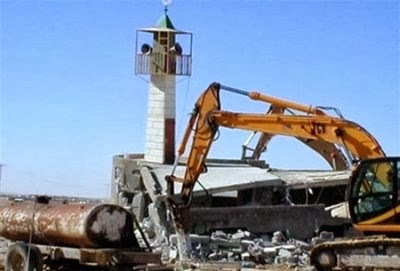 (OnIslam)—According to several Angolan newspapers, Angola has become the first country in the world to ban Islam and Muslims, taking first measures by destroying mosques in the country. "The process of legalization of Islam has not been approved by the Ministry of Justice and Human Rights, their mosques would be closed until further notice," Rosa Cruz e Silva, the Angolan Minister of Culture, was quoted by Agence Ecofin on Friday, November 22. Silva's comments were given during her visit last Tuesday to the 6th Commission of the National Assembly. She asserted that the decision was the latest is a series of efforts to ban 'illegal' religious sects. According to the minister, the action was necessary to fight relentlessly against the emergence of congregations whose worshipping is contradicting with the customs of the Angolan culture. Same as Islam, other faiths which were not legalized will face closure of their houses of worship. "All sects on the list published by the Ministry of Justice and Human Rights in the Angolan newspaper 'Jornal de Angola' are prohibited to conduct worship, so they should keep their doors closed," she was quoted by Cameroon Voice .